Today I want to share a brief overview of Myanmar's political history and I wanted to share about one amazing lady that is still there today. I have actually wanted to share this for a really loooong time but because of how corrupt the government is in Myanmar I didn't dare blog or peep a word about anything while I was there. Myanmar has many varying tribes. It's kind of fun because each person you meet is from a different tribe and they can usually tell what tribe someone is from by the pattern of clothing they wear. That's not historical but who doesn't love a little fashion? Over the centuries the tribes were ruled by kings and sometimes one tribe would rule over the others. In 1824 Britain entered Myanmar and slowly over the years they took over the entire country. They ruled there from 1824 until 1948 when Myanmar gained their independence from Britain. Under the British occupation Burma was the second wealthiest country in SE Asia, they were at one point the world's largest exporter of rice, produced a lot of teak wood and the majority of people were literate. It's shocking to hear how thriving they were considering where they are today, I'll share more about that further down. The man who unified all the tribes and fought for Burma's complete independence was a man named General Aung San Bogyoke. Just think of him as the George Washington of Burma. He loved his country and was very pro-democracy. On July 19, 1947, while Bogyoke was in a meeting, he and six others were assassinated. The men who assassinated him took over the country and their dictator regime is still in power today. Under their rule they did (and still do) horrific things to the people of Burma. They imprisoned many, forced children and others to work and they basically robbed the country. They went from being the second wealthiest to being the third poorest in SE Asia. I think the saddest part is that they have oppressed the wonderful people of Burma for so many years. General Bogyoke had a daughter named Aung San Suu Kyi. Suu moved to England and got married but she returned to her country in 1988 to help her sick mother. What she didn't realize was how much turmoil her country was in and how many people were being murdered. Being the daughter of general Bogyoke she was asked to stay and be a political voice for the people of Burma. She was brave and chose to do that and spoke boldly against what the government was (and is) doing to the people. The country united instantly under her. The way she rallied the people of her country together was amazing! It didn't take long for the government to notice her either and she was placed under house arrest. The government told her she could go free if she would go back to Britain but she knew they would never let her back in so she decided to stay. She actually won the general elections one year but because the government had her under house arrest she couldn't do much. The dictator government normally just kills people off but they couldn't do that to her because while she was under house arrest her husband, who was in Britain, spoke out on her behalf and nominated her for a Nobel Peace Prize and she won! The world's eyes were on her and if they killed her then people would start wondering what else was going on behind the closed doors of Burma. During her time under house arrest she would go up to her big gates, get on a ladder and make speeches. Her house and gates are super famous and her house was walking distance from where we lived! The original gates have been replaced but it was a lot of fun to walk to her house and see where all this took place. 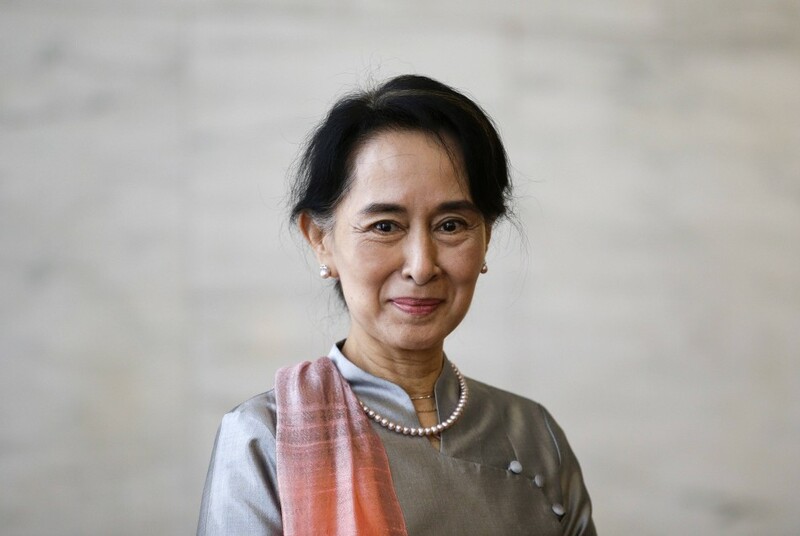 This past year the country had elections for The Presidency and Aung San Suu Kyi and her party (The National League for Democracy) won big time. There are certain laws in place that don't allow her to be the president but her party is gaining a lot more power and will hopefully be able to help make changes over time. I think the people of Myanmar are resilient because they are so oppressed yet they are still filled with kindness and keep trying to do what they can to live and love. Those men that killed the general still have a lot of power today and still do a lot of terrible things to the people there. There is a reason why foreigners can't visit a lot of the places there and I'm sure it has to do with how the government is hurting their own people. Even this past year the students peacefully protested that they wanted to choose what career they wanted instead of being told what they would be and many of them got arrested and thrown into prison. I imagine many of them are still in prison today. 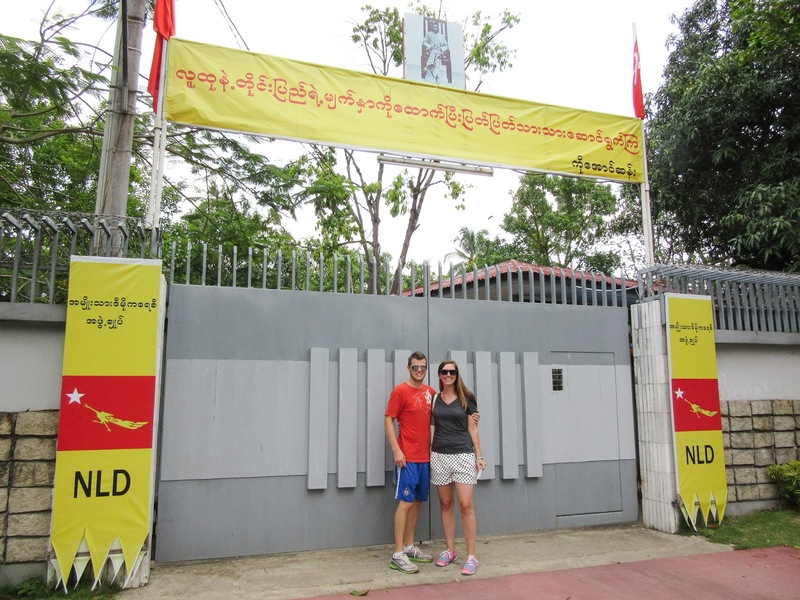 The freedom I have in America is one of the huge things I learned to appreciate in Burma. The freedom to speak and share my beliefs and opinions, freedom to work where I want, freedom of enterprise, the freedom to vote. Myanmar had elections this past November and this was the first time most of them ever got to vote. Ninety percent of people came out to vote! That is huge!!!!! This is kind of random but if you were wondering why the country is often called Burma and Myanmar you can thank the government for that. Overnight they changed the country's name from Burma to Myanmar. The world refused to acknowledge the change so many countries call it Burma but they call themselves Myanmar. Many of the cities got a different name as well. AND if that isn't crazy enough from one day to the next they went from driving on the left side of the road to the right side but the steering wheels are still on the right side. It's just nuts! If you want to learn more about Aung San Suu Kyi there is a really great movie about her called The Lady, and oddly enough this movie is illegal in Myanmar. It is a really really good movie! It starts with the assassination of her father and goes to her uniting the country of today. And here is Suu's picture. I think she is beautiful for so many reasons! I'm curious: has anyone heard about Aung San Suu Kyi before? 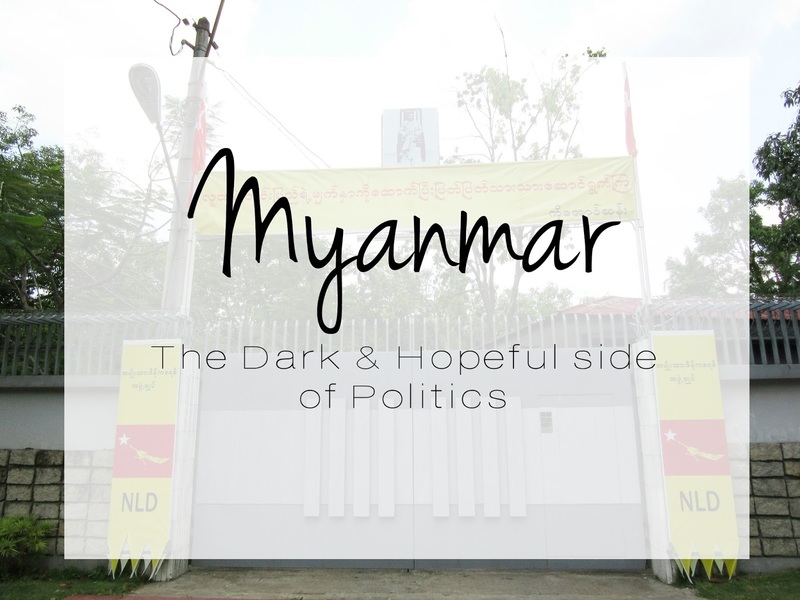 What about politics in Myanmar/Burma? What do you appreciate the most about your freedom? I had never heard this before! So interesting. Thanks for sharing! She is beautiful. That is so cool you got to see her house! I didn't know that why it's called Burma and Myanmar. What happened to make her not under house arrest anymore? Did her husband come to live with her in Myanmar or did he stay inBritain? wow, awesome…love true stories so i gotta see that movie. Aung San Suu Kyi is a true hero but so are you for this post!